Catalogue No. : E/380 IX/14 M137 L.2. old print appears in album B. "At the time when the photograph was taken that is reproduced in Plate X (PN 8055) , many of the old houses had been abandoned, and some of the European style had taken their places." 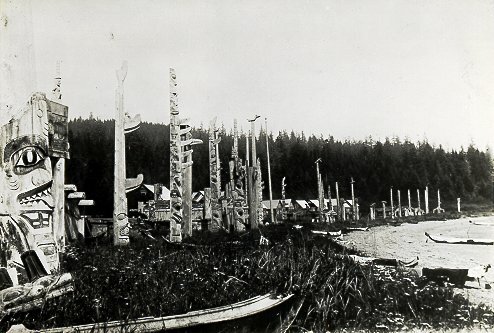 FROM: SWANTON, THE HAIDA ,JESUP NORTH PACIFIC EXPEDITION,VOL.V.